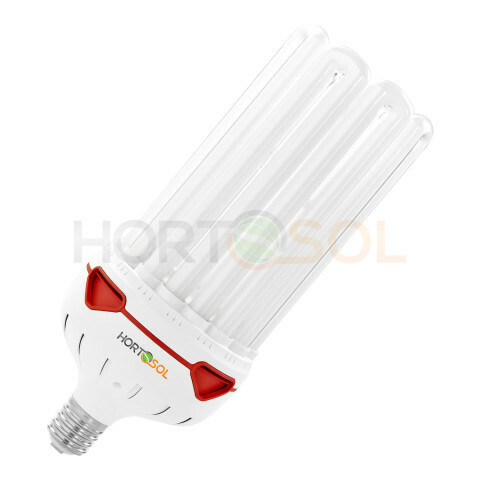 Here you find the HORTOSOL E40 CFL energy saving lamps in 150w, 200w, 250w and 300w. All lamps are available in colour spectrum 2700°K and 6400°K. 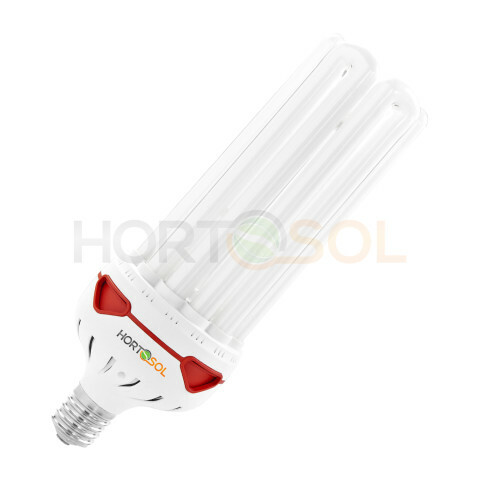 2700°K is a warm red light, which is required for the flowering phase of plants. Whereas 6400°K is a cool blue/white light, which is suitable for the growing phase of plants. The main advantage of CFL is the low heat generation and power consumption. The lamps are easy to install and do not require any additional ballast.